Wondering what players say about the Wedge mouthpiece? Here is a collection of store reviews, emails and Facebook posts from Wedge customers. Plastic gives a little bit of diffusion to the tone. However the mouthpiece is comfortable and responsive. The Wedge 65ES Delivers The Goods…. This my first Wedge mpc experience, and everything touted on the website, I experienced. My endurance has increased, not only while practicing, but also during performance. My flexibility has increased as evidenced by running through numerous Arban and Hering etudes with more accuracy than ever before. The comfort of the unique Wedge rim allowed increased response, especially at soft volume levels. The sound I hear behind the bell seems to have more core, and my high end notes lock in more securely and feel extremely solid when playing them. I can’t recommend the Wedge mouthpiece enough! After consultation with Dr. Dave I purchased this item to use with a 66 MDV Trumpet top to replace my Giardinelli 3vm cornet mouthpiece. I have used the same mouthpiece for almost 45 years so I was a little apprehensive. The process was very easy and I am very pleased with it. This mouthpiece is exactly what I was looking for. I was lucky to find it in Dr. Dave’s “scratch and dent” section (although I’m hard-pressed to find a single scratch or dent), but I would have happily paid full price. I’ve been going back and forth between a more conventional mouthpiece and a Wedge 66M in plastic, but the plastic was too grippy for my tastes. Switching to the slightly deeper cup and the more comfortable silver plate made this mouthpiece feel like a perfect match right away, and it’s only feeling more comfortable by the minute. The rim shape immediately darkened my sound and added a core to my upper register that I didn’t have before! As soon as I put this rim on my lips I sensed a noticeable improvement. My sound was more full with more core. Overall it feels easier to get around the horn. Range is improved both low and high. At times I was using larger 105 and 106 rims in the past in order to play the low range more easily, but with the way the Wedge rim is curved to fit my face I can use a smaller rim down low, which also improves my endurance and high register. I noticed that my articulation became cleaner with less clammed notes too! I can safely say that I won’t be going back to my old mouthpieces. The Wedge is here to stay! I’ve been using a custom Wedge 65.5 S for big band lead; it really cuts through. But when I need a fuller sound with more color, I go to the Findley. It’s also extremely comfortable on the chops and still has lots of range when needed. I have a couple other Wedge mouthpieces, on my large bore horns and wanted the same Wedge feel in a shallow cup to use on Eb/D, F/G, and Piccolo. I am getting better range with a fuller sound than on traditional mouthpieces. Next I want to try an ES cup and also explore a very deep cup for a more orchestral sound on a C trumpet….great mouthpieces and Dave is very patient about answering questions. Great mouthpiece, and easy adjustment! Improved response in all registers. I hope to get one for my piccolo trumpet soon. I recently ordered a custom top from Wedge Mpc. Since Dave has all of my previous custom tops on file on his hard drive, this latest top was a simple throat size change and was a breeze. From the first email thru receiving the top, everything was handled as expected – EASY. What a fantastic mouthpiece – I am very happy! Thanks Dr. Dave! This thing is killer Dave! I have used it all summer and believe we have found the final solution! Thanks for your great work in getting to this final design! I find the 102E to be the best match for my vintage Sovereign euphonium. Dr. Dave suggested I try a slightly smaller inner diameter than I would normally play based on my own evaluation of my playing. With the Wedge rim I get the clarity and fantastic flexibility of a smaller mouthpiece, with the extra room and bigger sound provided by the oval shape. There was a bit of an acclimation period for me, but it was worth the wait. Wedge mouthpieces are different, and worth a try in my book! 67MD – Biggest innovation in mouthpieces in my lifetime! I purchased a Wedge mouthpiece based on a roundup review of the top mp’s currently on the market and in hindsight that review did not fully highlight the virtues of the Wedge so I will endeavor to correct that now. I performed a “blind” A/B/C test with my 2 go-to mp’s (A Schilke 15 and Bach 1C) and the new Wedge 67MD, my go-to horn (YTR-8335) and a single piece of music. After playing all three mp’s randomly for 20 minutes, my listener preferred the Wedge each and every time. We both noticed that the Wedge had more tonal richness and robustness, that my interval accuracy was superior, and I fewer cracked notes on attack. And the ergonomic comfort of the oval cup was a major surprise! The only downside was that my range was off by about a full two tones but that appears to be due to the throat not being as large as my A & B mps so I’m waiting on a new Wedge with a throat that matches my air stream needs. I thank Dr. Dave and his company for accommodating my request for an exchange and him taking the time to answer my numerous questions. I highly recommend the Wedge and Harrison Mouthpieces Inc. for their outstanding products and customer service. Great mouthpiece!. Overall better tone quality. Thanks Dr dave. Dr Dave give great communication and advice and the mouthpiece is of excellent quality and I love it. I should have switched to Wedge years ago. I heartily recommend them to all the trumpet players I know. Nothing to loose and everything to gain. I’m enjoying this experience. Did not take long at all to make the transition to this mouthpiece. Range, endurance and pitch, all have become better. Much more efficent mouthpiece. Thanks for all your input Dr. Dave. Dr. Dave was fantastic in giving me advice and matching my old mouthpiece. The adjustment has been pretty smooth, and the 65RT and backbone sound fantastic. I will definitely be buying some more pieces soon. Been playing with the wedge for two weeks and saw immediate improvement. It’s not a miracle fix, but the tone, flexibility and endurance was clearly better than my Bach mouthpiece. I’ve been searching for a comfortable small-bore trombone mouthpiece for the past year. After getting my first Wedge mouthpiece for my large bore (4.5g) and loving it, I decided to try one for small bore. I contacted Dr. Dave and he helped me pick what turned out to be the perfect mouthpiece for me. I am beyond satisfied. One thing that particularly impressed me was its versatility. I can quite easily manipulate the sound to play anything from lead, to commercial, and even certain orchestral parts. I will certainly be purchasing more from Wedge in the future. I recently received my Wedge 75D horn mouthpiece and couldn’t be happier. It is a great compliment to the 75M that I already own. This mouthpiece has a great response and aound in all registers, and is super comfortable to play. The slurs are also incredibly smooth. Thanks, Dave!! 65S – Amazing lead piece! This acrylic top pairs perfectly with a stainless steel heavy back bore that I use for pops, lead and jazz work. The stainless steel gives it an added unique sound characteristic added to sound over brass and paired with the acrylic offers clean attacks and allows you to play soft with a warm tone. If you are looking for something different to add to your options in your playing, I recommend this set up! This mouthpiece is perfect for my needs. The acrylic adds to the softness and “mellowness” of the tone. it’s not as deep as say a yamaha 14F4 or something that one would ususually play on a flugelhorn to achieve the wide open tone, but because of the acrylic it makes up for it. With the wedge mouthpieces i can cheat and slightly open the sides of my embouchure to add a bit of “whisper” tone to my flugelhorn which is super cool. This mouthpiece is my 4th, and i don’t plan on stopping. every one has it’s own character and i love playing around with combinations of mouthpieces, mouthpiece materials and horns. WILL BUY MORE!!! I LOVE THESE THINGS!!! Very good indeed, with just the right resistance My tone higher up has improved, so I’m more than satisfied. Over the last two years I’ve built up a number of combinations of cups, back bores and stems which have proved very successfull over a number of instruments I use. I have particularly ‘got-on’ with the Wedge. I bought my first Wedge horn rim over five years ago, and upgraded to a MWB-M3 two years ago. Both of these pieces transformed my range and endurance. Dr. Dave recently designed a custom rim for me. He took the time to understand exactly what I was looking for, and I couldn’t be more thrilled with the result. Great products and service! Better sound, and no loss of endurance or range! I played a bach 3c with a bach strad for 20 years in various settings. A few years back I switched to a wedge B3C because a friend recommended it, but I seemed to have some tuning challenges in the upper register. I have also started to play in a jazz band and have some lead parts, so I contacted Dave to discuss some solutions. Dave recommended that I play a 66MD with a heavy weight backbore and standard shank in more legit settings. He thought that would improve my tuning and slotting in the upper register without causing me to lose range or endurance. Frankly, I have been very pleasantly surprised with the performance of this setup. I have better flexibility, better tuning in the upper register, and no loss of range of endurance. I also bought a 66FLC for my yamaha flugel and I have had similar results. I have good control of pitch and tone colour into the upper register, and since the setup is very similar to my wedge trumpet setup, it is very easy to switch instruments during shows. I could go on, but I think it is better to sum it by saying that if you have mouthpiece questions or concerns, talk to Dave. His advice is excellent, as are his mouthpieces. Thanks Dave, your mouthpieces are helping me to play to my full potential. I recently bought a 6 1/2 jazz trombone large shank and it is just what I needed. I have several Wedge mouthpieces for both small and large bore instruments and this mouthpiece possesses the typical Wedge traits of excellent production and clean articulation throughout the range. The sound is fairly bright as you’d expect but I find I can also use it in settings where a more mellow tone is required. Very good. I already had The solo tuba mouthpiece i realy like. I buy used geib and new wedge pt-50 and i don’t like it. with your question You help me to found the Perfect match for my cc tuba. Bravo for the gen2. Great sound on all registre easy to play thank You. I Will buy again from you. I love the wedge 17.5 rim in gold because the gold is smooth and soft in the lips and the 17.5 gives my lips more room to move. I am impressed with the wedge rim construction; it allows the player to play for hours without severe pain and fatigue. The employees are a pleasure to ask questions about the product. Thank you! Phenomenal. All aspects of playing have come easier after using it. I have been playing a Wedge for three years now and just bought my second model. I am using it as principal trombone in a symphony orchestra and in wind Orchestras. It keeps the promises. I love sound, flexibility and the clear attack. Wouldn’t want to be without it. I got used to it very quickly. I truly enjoy my new Wedge mouthpiece. I did not have a problem converting from my old Reeves set-up to this piece. This mouthpiece is simply more comfortable than my old mouthpieces. I will be purchasing an additional top for symphonic work. This mouthpiece is perfect for the British Baritone. The proper sound tone quality is easy to achieve. The Wedge design helps with range and endurance for the player. The 5 size is perfect for my Wessex BR 140. I have come to a wonderful realization: playing a Wedge trumpet mouthpiece brings a newfound joy and musicality that I never knew was possible before. When I heard a recording of my playing at a Christmas combo gig, on first listening, I really thought “that couldn’t be me playing!” After listening over and over again, the nuances, articulation, tone and overall improvisation still baffled me. I have been playing trumpet in all genres from classical to jazz for almost half a century. I have played numerous top of the line horns and mouthpieces. No experience has equaled the Wedge. Isn’t it worth a try? You cannot and will not go wrong if you at least try one out! I purchased the 69D Trumpet Top with the intentional purpose of strengthening my embouchure. Dr. Dave personally called me to verify my order and expressed his concerns that I would not be able to play any length of sustained time, due to the size of the cup. I thanked Dr.Dave for his and concern, I appreciate his total earnest concern for me and the purchase that I requested as his customers and client. As a trumpet player who wants a big cup that forces me to actually use my inner embouchure muscles to force me to control and constrict the size of my aperture. I am completely satisfied with my 69D Trumpet Top and expect to achieve the goal I have set. Dr. Dave Thanks! Regards, Leroy “Boz” Bosby, Jr. Within 3 days of receiving my harrison 67MD mouthpiece I played Shostokovich 10 and experienced better endurance, intonation, articulation, and over all sound than any previous mouthpiece and I have tried many. It was the only mouthpiece I took on our 2 week tour of China playing Pictures at an Exhibition. Well done Dave. So far, so good. I’m using it with a medium cornet backbore on a Schilke P5-4 piccolo trumpet. Very comfortable and for me better than the 7 size I was using previously. 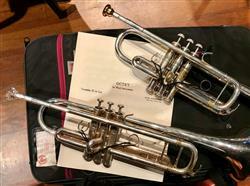 Not bad switch to Drozdoff Classic cup on Bb or C trumpet. Most comfortable mouthpiece I have ever played – extra endurance! I was skeptical, but I’m glad I gave this a try. (With such a generous return policy, who could resist?) I am amazed at how comfortable this mouthpiece is to play – it almost feels like it has a cushion! Dr. Dave’s recommendation was right on the money for me. This model has a pretty deep cup, and I love the big, fat sound I get in the low register. I’m considering purchasing another, somewhat shallower cup model to use in other situations. Definitely worth the purchase price for this ol’ comeback player! I’m very happy with the Mouthpiece. It works for a very wide sprectrum of Music from classical stuff, jazz, Musical or leadplaying. Congratulation! It’s working out very well. I do however “use” the Wedge slightly differently than many others. 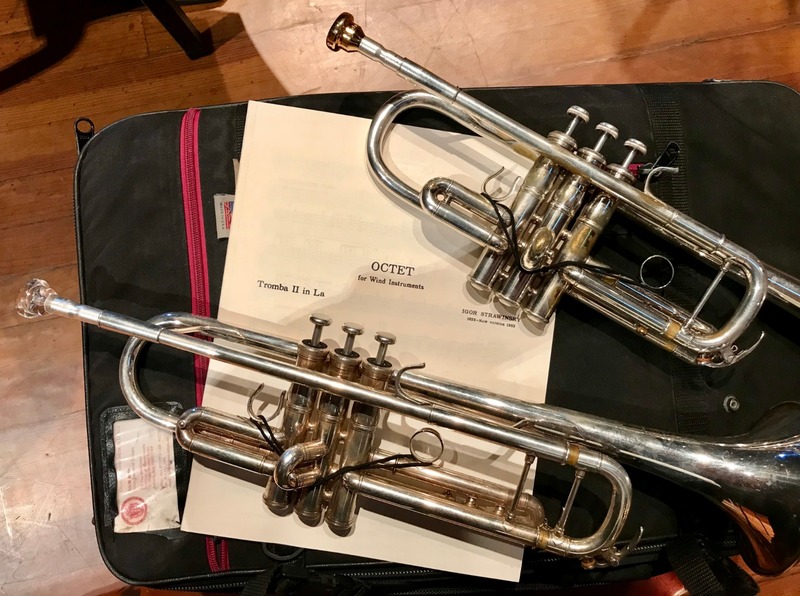 Due to a slight problem that hangs over from my previous life as a trumpet player, where I used a “smile & press” embouchure for too many years before changing to a pucker, I use the Wedge to warm-up on or simply to play instead of my usual Hammond 21BL. Using the Wedge in this manner activates the competing muscle memory of the pucker and allows me to continue using it on the Hammond. If I don’t play the Wedge for a week or so, I start noticing my “pucker” not working efficiently which causes problems when shifting from the deepest register into the upper register (above f in the treble staff to high c above that). The response in terms of resistance is similar to the Hammond, but the Hammond sounds crisper, especially tongued and generally a bit more “alive” – but it’s only something I notice after not having played the Hammond for a while. The Wedge does set me up very well for using the Hammond, so on rehearsal/concert days, I warm-up at home on the Wedge for 20-30 minutes and when I get to the hall, all is set for the Hammond. I know this is NOT recommended operating procedure, but … it works for me. I ordered a custom mouthpiece to be made and Dr. Dave and his staff made it to my exact specifications with the highest levels of workmanship and quality. Best of all, turnover time was extremely fast for a custom order! After reading Dave’s “Quality Management questionnaire” and some clarification talks and expert advice from him I understood that I had some misconceptions about effects of throat size and mass on sound, so I additionally ordered normal weight stainless steel middle part for my mouthpiece. I am using it constantly now. Quite some time ago I ordered my first Wedge. The decision needed some courage. The most critical parameter for me is the cup diameter, so I took the risk and ordered my first custom (non-returnable) Wedge. It was a heavy piece Schilke 20 size. When I first tried it, the experience was unbelievable. I shared it with Dave, and he used the metaphor “driving Formula One after driving a truck” all previous life. Only, I guess, in my case “the truck” was a very big one and did not have power steering. Slightest effort or movement sent my embouchure in the correct direction, but way too much. I had to re-coordinate the whole system. It took some time, but it was well worth it. The control was complete and different and fantastic. I never experienced anything like that before. All the embouchure parameters dramatically improved in a very short time. Having had some experience with my first heavy Wedge mouthpiece, and after reading Dave’s “Quality Management questionnaire” and some clarification talks and expert advice from him I understood that I had some misconceptions about effects of throat size and mass on sound, so I ordered another three-part stainless steel piece. The result was excellent. I am still playing the equipment, completely happy with it and do not think of changing it to anything else. overall very good. maybe for added comfort a reverse angle contour as in the Stork C series horn mouthpiece that I had been using prior to Wedge. a nice broad sound in all registers for the fairly small 17.25 cup width. improved endurance even after a heavy concert or practice. A good combination: The Wedge rim fits the DE system perfectly. In three weeks, I have experienced the following. 1. a better tone, with a better core. 2. Better range, both low and high. 3. Better stability in the sound, resulting in better intonation. 4. Easier to change articulations, more response. I received my M17.75XN rim one day before the rehearsals for “Midsummer Night´s dream” started, and first I hesitated to use it, but then decided that this is actually the best way to try if it works. I didn’t regret it, it felt good immediately! After much searching for a mouthpiece to suit me and trying many I filed in a wedge questionnaire and received a recommendation by email.I thought it over and decided to take a punt. I bought this along with the recommended for me trumpet top. Best thing I ever bought. I admit, I was skeptical at first and it is the most expensive mouthpiece I have ever bought. I love it. Having used a Holton MC I bought the 70M and it was a good match. I noticed that it instantly felt more free blowing. I can say that I have more endurance playing on the wedge because it has a sweet spot and doesn’t allow you to push much past it. It took a while to get used to but when you adjust your embouchure to play there things work very well. The notes come out very nimbly. If you go outside of the sweet spot then there is not a lot of forgiveness. Initially slurring was a problem but after playing on it for about a month and a half I am finding that I have been able to adjust to the differences with no discernible difference now. I feel I am able to get a louder sound on the mouthpiece than on my Holton but am not presently convinced that the tone is what I am looking for at the higher volume levels. Hard to tell what the audience hears though. Still need to get feedback on that. Had some trouble orienting the mouthpiece during shows since the lights sparkle off the mouthpiece making it very hard to see the dot. I think I solved the problem by lining it up and putting paint marker from the mouthpiece to the horn on the bottom end so I can see it without having to flip the horn over. Not used to paying more than $100 for a mouthpiece but thought I would give it a try based on recommendation and I can’t say I am disappointed. I am a little miffed that I have to pay American prices for something that is basically produced in my back yard. $210 turned into $320 CAN. Any good horn player will tell you that mouthpieces are matched not only to the player but to the horn so my comments are all subjective. I am presently playing 2nd horn on a Berg horn and find that the low register is quite good. Easily as good on the Holton and the high register is better. This is after trying out about 30 mouthpieces to settle on the Holton. I am late to the trombone. I started just a few weeks before my 71st birthday. Years ago I played the trumpet and was a mediocre player at best. I decided to try again with an Olds valve trombone(I needed the familiarity of valves). The additional size of the trombone mouthpiece has helped immensely and the ergonomics of the Wedge 11C are really awesome. I sound better on the valve trombone than I ever did on the trumpet. I play for my own enjoyment and no one will ever hear me play other than family but I really like what this mouthpiece has added to my playing enjoyment. I’ve been playing on it for two weeks. I’ve always liked the feeling of a wider rim, but always put them away because of flexibility issues. The wedge rim is different-no flexibility issues at all, in fact, it seems to make everything a little easier. I like the sound in All registers. The inner diameter of the rim feels on the small side in this size category, but has a big sound. Overall I am pleased. I’m still adjusting to it I used it to play in the pit orchestra for fiddler on the roof last week. With evening rehearsals and three performances I felt it worked very well. My low range was stronger, I’ve lost a little of my top range. Endurance was improved. This mouthpiece is great for mid thru low range ..especially well suited for low notes .,optimal for playing bass parts. But the upper high treble range goes progressively flat with unacceptable intonation ..requiring a different mouthpiece for melodic treble playing. The top/bottom white dots are inadequate for orientating the proper playing position ..as they cannot be seen when attempting to play. So the metal tone modifier ring is essential ..as the fastening screw facilitates orientation by feel. My original purchase was without the tone modifier ..purchased later specifically to solve the problem of orientation. I didn’t notice much of a difference in tone, but still glad I have it ..albeit the positioning problem could have easily been solved by cutting or drilling a notch for feeling. Nobody can reliably expect any mouthpiece to be optimal for everything, so I’m not particularly disappointed with the treble range problems. This mouthpiece indisputably rules in the lower range where tubas are designed to rein anyway. Overall I’m quite satisfied, able to recommend it. Every item I’ve ever bought from Wedge has been first class, my latest no exception, and I consider myself a long-term customer by now – Yeah, ‘Long experience’. Incredible mouthpiece,felt a GREAT improvement from the start. No problem,whatsoever,adjusting to the wedge! The plastic 102E performs about just as well as its metal counterpart. Great for cold weather performing, which I do a lot of in upstate NY. I’ve even used it to mello out the sound to play in a 4tet with woodwinds. I wanted to use the benefits of the Doug Elliot System, with the innovation of the Wedge Rim. I purchase the plastic rim just as an experiment to see results.The results have been very positive. 1. My tone has more core and is denser. 2. Flexibility is better. 3. Range is more secure. 4. I can vary articulations much easier. 5. Intonation is better. 6. It is easier to play than my other conventional rim. This combo of wedge rim with the Doug Elliot cups and shanks has been great. I ordered a gold plated ST 99 rim, now that I have seen the results with the plastic rim. I ordered a Wedge 30H in an effort to find a suitable mouthpiece for my 4/4 CC tuba. It did not disappoint! The sound is clear and centred and the articulation has a wonderful amount of pop. I play a Wedge 30F on my F tuba and this mouthpiece makes switching between horns a breeze. If you are looking for a fantastic sounding CC tuba mouthpiece, I highly recommend you try the Wedge 30H. So far so good! Good slotting, I don’t have to work as hard to slot the intervals accurately. Flexibility is really good, and I definitely feel less fatigued over longer periods of playing. Great service and a great product. Ordered a 64S in plastic to get a feel for the Wedge rim idea. Will definitely be exploring more for all my playing styles! I ordered an S backboard to go with my 66S mouthpiece. The combo serves as my lead mouthpiece. Like my other Wedge mouthpieces (I have a 66MV for my all-around mouthpiece and a 66FL for my flugelhorn) this mouthpiece enhances every aspect of my trumpet playing: flexibilities, articulation, endurance, range, and quality of sound. Wedge mouthpieces are the most comfortable I have ever played. My mouthpiece Safari is over! Moreover, Dr. Dave is always more than willing to answer questions about mouthpieces, and their customer service is first rate. And given their 90 day trial period, There is no reason not to try a Wedge mouthpiece. Prior to purchasing the 6.5AL Jazz, I purchased the 11C, both acrylics. I was very happy with the 11C but wanted to make sure that I had the correct size and style for what I want to play so I purchased the 6.5. It turns out that the 11C fits me better. I have no complaints at all with the 6.5 it just didn’t work as well for me. I returned the 6.5 and ordered a replacement 11C in brass. The exchange and reorder process went smoothly. I should have my new 11C any day now. Excellent customer service and excellent mouthpiece. I played a Bob Reeves 42S and a Marcinkiewicz model 7 for over 20 years. Long story short, i purchased a wedge mouthpiece out of curiosity. It took a good month to get used to it, but once i figured it out, it was and is a game changer! My range, my ability to play for long periods of time without fatigue, the quality of the notes, etc. was drastically improved. I have one of each- A metal B7C An acrylic Chuck Findley M (66M) w/modified v cup – my favorite A Derlin 65S All of the mouthpieces have their own personality. Depending on the horn i play, and the music i’m playing, i can choose the personality that best matches my performance. I would have given my first born child for plastic mouthpiece during late night football games back in high school!!! I recommend these to all, and anyone. Get past the learning curve and get 2, 3, or more of different sizes and materials. These are fun to play on and they are far superior to flat, traditional mouthpieces. Thank you so much for making these!! As the title says,I found that it was very useful in helping me find a way to use less frontal pressure on the mouthpiece while still achieving a characteristic sound. I use this on various Eb tuba’s. Provides a full tone suitable for Brass band while still offering a great high and low register and a focused enough tone for solo playing. If you use a PT-84 try one of these – the wedge mouthpiece design really works. My son immediately felt the difference with his new braces on. As an experienced euphonium player, he’s been worried about the impact that braces would have on his tone and range. He is very pleased with the new mouthpiece thus far. I can’t believe that after decades of playing a Bach 3C, I’ve switched mouthpieces! I’ve been playing the Wedge mouthpiece for almost 2 years. It has improved my tone, projection, and attacks. It allows me to play soft and loud with greater control. Recovery after a “big ****” gig is much quicker the next day. I now use the Wedge for all of my instruments. I changed to Dr. Dave’s second generation line of Bb trumpet mouthpieces several months ago, and they revolutionized my lead playing in big bands. I’ve now had enough time to play them on different horns and in a variety of environments, and I know that the advantages are permanent. The ES line is remarkable for its accuracy, volume, and tone, and it added a third to my usable range at the end of the night. And since I can back off on the ****, my endurance has improved. I found no difficulty whatsoever in transitioning, and after 50 years of trumpet playing, that speaks volumes. Moreover, there are numerous ways to customize the mouthpieces to match different horns, and I’ve particularly appreciated the way that I can change the receiver gap with different shanks. Dr. Dave and his staff are incredibly knowledgable, helpful, and pleasant. I couldn’t be more pleased with the change, and I can’t imagine going back to my old setup! Using my Wedge 102E has been a fantastic experience all-around. I initially contacted Dr. Dave with my satisfaction with the mouthpiece about a week after I received it t offer a review at that point, and now that I’ve had it for a few months, I’d like to further elaborate on how great I feel about this mouthpiece. This year, I started my studies as a freshman at my conservatory. I played on a Schilke 51D, and although I love the piece and have used it for quite some time, I found myself getting more and more tired while using it. I saw an ad for the Wedge, and decided to give it a try. Although I’ve seen some people say it took them some time to get used to it, my situation was pretty much the opposite. The 102E is a similar size and feel to the Schilke 51D, so the only thing I had to get used to was the rim shape. The slightly “wedged” design was extremely beneficial to my playing. My professor, at the first lesson with my mouthpiece, told me that it was a great addition to my playing and my sound. I’ve found that it’s improved my endurance, range (both upper and lower; pedal F’s come out like a breeze! ), and tone production considerably. Although I’m not usually an advocate for buying new gear to improve the player, I really do believe that the Wedge is a fantastic addition to an experienced player’s inventory. I use the 102E as my main mouthpiece for both euphonium and trombone now, and would honestly never look back! One last note; Dr. Dave was a fantastic resource throughout this entire process. He’s always available should you have any questions about the mouthpiece, and shows all the time that he cares about this mouthpiece like a musician truly should! Happy I gave Wedge a try! I saw Wedge mouthpieces while scrolling through my Facebook long before I ever owned one. After a couple of frustrating auditions and discovering my old mouthpiece was too big, I decided what the heck I’ll gave Wedge a try. I took the survey on the website and Dave suggested the 67MDV with a 25 throat. I received the mouthpiece and after a week of adjusting to the new rim and playing a few concerts (principal) with a couple of orchestras, I was sold. The Wedge design has forced me to work on the weak points of my playing, and helped me create a new and better warmup. My focus, tone, and endurance have all become better since I made the switch. Even if you’re not 100% sure you want to fork over the money, keep in mind they have a 90 day trial period. This is more than enough time to find out if the wedge is right for you. Thank you Dave for a wonderful product! this is actually a mouthpiece that i bought in 2010. its perfect for me. but i wanted to try something a little bit shallower. my most recent purchase was a similar combo of a warburton size 4S-7S. i thought it would be a “companion” mouthpiece to the first one. i like it so well, i play it all the time on my Bb trumpet. the rim is the same as the original. even though the cup is smaller, it is not a shallow sounding mouthpiece. the low notes are very full, but as brilliant as notes an octave higher. the smaller cup necessitated a backbore change from a warburton 8 to a 6, but the 2 mouthpieces play very similarly to one another. i’m extremely happy with it. I really liked this mouthpiece. It didn’t take me long at all to get used to it, and the oval shape of the mouthpiece makes me a more efficient player. This mouthpiece is the best for Quintet playing…excellent response to soft entrances, great sound, and endurance has increased dramatically. Wedge Mouthpieces are a very interesting addition to my Tuba playing tool kit. I have used many a mouthpiece that did not work well with the horn I was playing although it may have had rave reviews from fellow players. I was fortunate to get a few pieces from Doug Elliott that have served me well through the years. I tried out the Wedge mouthpiece and found that the special make up of the rim made my playing better and with more endurance. With my Doug Elliott I had a shank and cup to suit my horn and now with a Wedge dedigned rim a more comfortable and effective rim to play on. The workmanship was first rate and the price for two custom rims was more than fair! Thank you Wedge Mouthpieces for improving my Tuba mouthpiece tool kit! Overall, this has been the best mpiece experience I’ve ever had. It took no time at all to adjust to it and I now have two – one steel and one gold. PHC S dimension. They fit my PHC cups perfectly, as well as my Osmun Vienna. Have recommended to all my friends!! Excellent Product, Phenomenal Service and it Simply Works. I first started playing Wedge mouthpieces back in 2008 and settled on the B1.5C (RIDENOUR) Top after a size trial lasting a couple weeks. I can honestly say that this is by far the best mouthpiece I’ve ever played and continue to play to this day. It delivers on every promise made providing more depth of sound, better flexibly, clearer articulation, and a substantial increase in endurance. The rim design itself continues to be more comfortable then anything I’ve ever tried and even after a full day of concert band, stage band, brass quintet rehearsals along with personal practice I’ve experienced little to no swelling the next day. I also love the 3-piece modular design that not only allows full customization of your mouthpiece to fit your needs and your horn, but allows me to change the mouthpiece top to plastic or acrylic in seconds and without changing my overall setup for those cold outdoor gigs. Lastly, I’ll comment on the exceptional customer service of Dr. Dave and his team. Whether your just starting out or a world-renowned performer the level of care and attention he gives to each one of his customers is the same. Combine this with his tireless work ethic, extensive knowledge of mouthpieces and his attention to detail when recommending options (even if it’s not his own product!) it’s hard to ask for more… maybe an unbeatable 90-day return policy? Oh wait… he’s got that too! 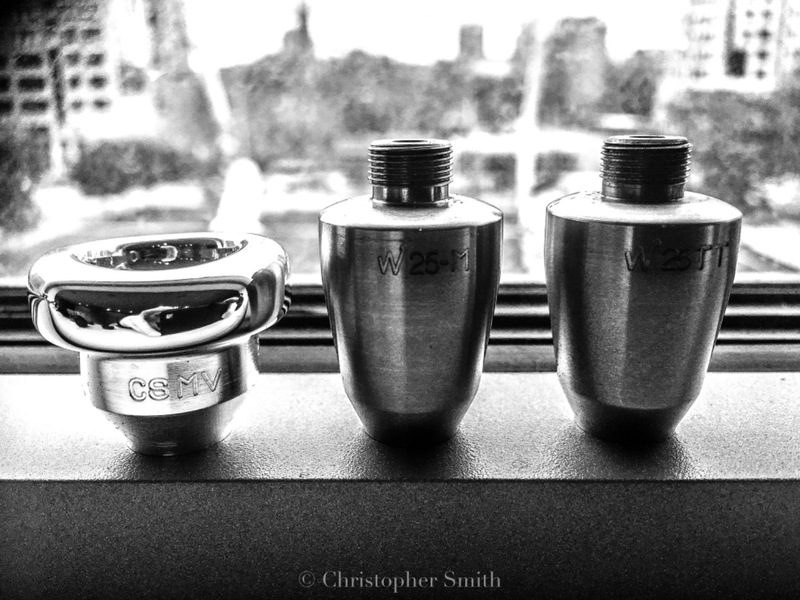 You owe it to yourself to give these mouthpieces a try, I know for me the search is over! I’ve been a wedge customer for 5 years now, and this last piece was just the right prescription from Dr. Dave! The new Gen 3 rim design is very comfortable, always a plus on those long gigs, and the MD cup is the perfect full sound I was looking for! I have tried ALL the brands out there, tried Wedge for a little while, tried others, but kept coming back to the Wedge for the many many benefits. Now, I exclusively play wedge and keep adding to my quiver of pieces to further enhance my playing! I absolutely LOVE the Wedge 30F on my PT10-p F tuba. It is by far the most comfortable and best sounding mouthpiece I’ve ever used on this horn. My colleagues in various ensembles are noticing the difference as well. Specifically, the other members of the Trillium Brass Quintet (http://www.trilliumbrass.com) really loved the sound during a recent gig. If you’re looking for a fantastic F tuba mouthpiece, I highly recommend you try the Wedge 30F. I use the Mouthpiece only for some special Work in the high register. It works very fine and my endurance with the wedge Mouthpiece is much better than with every other i ever used before. I’m so glad to have finally found an mpc that I don’t have to constantly fight. I have a considerable overvbite as well as minor dystonia, and while it isn’t a cure-all for my issues, it does allow me to relax and play with less pressure, improving endurance and helping with response issues, notably in soft entrances. I acclimated to it quickly and plan on sticking with it and even ordered it in plastic for my outdoor playing. The best mouthpieces I’ve ever played!!!!! I have a complete set of Wedge custom mouthpieces – Bb trumpet lead, Bb trumpet jazz, Bb/C trumpet classical, flugel, and cornet. With these mouthpieces I can play gigs that are as extreme as I could imagine and go for hours and never really feel tired out. They are simply the most comfortable and effective mouthpieces I’ve ever used. On top of that, Dave Harrison is one of the easiest and most straightforward and honest to work with. As a brass player, you owe it to yourself to try these out. This is a very efficient mouthpiese, it’s adding so much easiness to the playing! Wedge Tenor Trombone 6,5 AL Remington Shank 0.275 ‘ custom bore Switched from: Griego 6.5 NY I started using the wedge mouthpiece right after its unboxing and play it since that day. Though it took a while to adjust my embouchure,it already worked pretty well from the first moment. Today, after a few months of further adjustment, i am enjoying the benefits of it in my very busy professional trombonists life: My embouchure feels “invited” to push gently a lttle more forward,allowing the lips to settle in a free buzzing,centered position-without thinking about it all the time 😉 Of course,it should be like that on any mouthpiece-but when the connection between player and instrument becomes faster,more direct and efficient-and in fact somehow more “organic”,you can save a lot of energy (talking about decades of playing) and focus more on musical aspects. Thank you Dave! Greetings from Germany- Felix . Merry Christmas! I hope this email finds you well. I am simply writing to share my appreciation for your mouthpiece and unmatched business model. No piece of equipment has ever done for my playing what this mouthpiece has done, and I wouldn’t have been able to try it were it not for your most generous return guarantee. I look forward to slowly replacing all of my mouthpieces with wedges over the next few months. After having my Wedge (102E euphonium mouthpiece) for just a few days (only since Monday), I can confidently say this is without a doubt, the best mouthpiece I’ve ever had. There were immediate differences in my playing; scooping into pitches just didn’t happen anymore, my tone was rounder, my range was better, and my endurance was considerably better than with my previous piece. My professor told me just a day after receiving the mouthpiece that he could already tell the difference between my tonality using my other piece and the Wedge, and that he loved the change. Thank you so much for taking the time to find (and make!) the mouthpiece that was perfect for me! This one’s a keeper! “Dave, I’ve been a Wedge player since (almost) the beginning. You and I joked last year that my pieces (3CC, 5DC, and 7EC for jazz, crossover, and lead) were so old that you don’t support those sizings anymore. No dots on the rim, either. Last year I updated to acrylic 66MV, 65S, and 65ES without looking back. Awesome. Well, last week I purchased a NY backbore by another company that I fell in love with the sound, but since it was slightly more open than I’m used to, I struggled after playing 4 hours of loud high notes. The solution? 64ES that I had attached to my piccolo. The result last night? Pure magic. Thanks for making the greatest problem solving solutions on the planet! My playing has improved ten fold since discovering your pieces almost ten years ago! Oh and by the way… Double B on the last note of the four hour gig. You rock! “I’ve had the same experiences (many times) with my small shank 5GS playing lead trombone in a big band. Back-to-back 2 & 3 hour gigs that would have been impossible for me without my Wedge. “I have used the Wedge for 3-4 years like it much better than a traditional mouthpiece. Better flexibility, slightly better range and much better endurance. But everyone is different. Try it for a couple weeks and decide for yourself. “Same for me. Much better endurance. Better range and note accuracy. I also play a bigger mouthpiece on a wedge than conventional. They have a great return policy and Dr. Dave always answers any questions personally. “I was sold on Wedge rims after finding an extra 50% endurance on horn. Running out of chops before the end of a rehearsal or a concert is a thing of the past. Same thing was found to apply to bass trombone, in addition to better high register. “Wedge changed everything for me. Made trumpet far less difficult that it has ever been before I started playing them 9 years ago. “Good Evening, Dave: I just finished gigging eight hours: three hours, two hours, and three hours in the past 24 hours. I simply could not have survived without my Wedge! (At age 78, I’m no “spring chicken,” and I have no intention of “hanging it up” anytime soon!). To say I’m “sold” on my Wedge is an understatement! John Upton here. We are partway though rehearsals for Mahler’s 3rd Symphony here in Flint MI. I am using my old-faithful Upton-Giardinelli with the custom rim you built for it. The combination is performing beautifully especially on those huge solos in the 1st movement. Many compliments from colleagues. Just a joy to play! Finally got a chance to put the 6.75 230 and 6.5 250 through their paces a few weeks ago with the theater orchestra and they are likewise working out great. Haven’t gigged yet with the 6.25 in the alto yet but it feels great in practice, nice sound and articulation, and very comfy and sure-footed in terms of slotting and intonation. It is so much fun to put most all of my attention on making music instead of operating the trombone!! Thanks so much for the wonderful mouthpieces!!!! “Hello Dr Dave, I wanna express how much I love your Wedge PT 50 (euro) it is lighter than my mike Finn 3, but I find it gives me a darker sound. I’m feeling like I’m playing with less pressure now and can pay longer. I recently used it in a recording session and have been getting lots of compliments. Also my marine corps recruiter believes that I sound better on it. All in all, a great mouthpiece. Thanks again! “Well, I’m in! 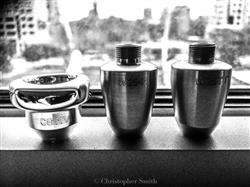 I decided to add my name to the endorsements for these fine mouthpieces. I like unconventional mouthpieces. I wanted to have something on my list that I could comfortably recommend to folks that more people would have success with and hit a comfort zone sooner. These mouthpieces fit that bill perfectly. You will NEVER find a more comfortable rim that is this flexible. Most traditional “comfortable” rims tend to restrict the ability to move your lips as needed. NOT the Wedge! Some traditional “comfortable” rims are a bit slippery not allowing you to get a grip. NOT the Wedge! The Wedge rims achieve what I feel is the best combination of comfort and grip. They also can produce a great range of timbres on one mouthpiece. Here is a side benefit to the Wedge. Dave told me this could happen, and it does. When I go back to the mouthpiece I’ve been using for sometime, I have NO difficulty making the switch. In other words. using the Wedge WON’T mess your embouchure up at all! It may, in fact, IMPROVE your set! I can’t recommend these highly enough. You really owe it to yourself to try these. You will be stunned at how well they play right off the bat! Peace! “My journey with Dr. Dave Harrison and the Wedge system started out with a phone call to Canada. After explaining my needs and shortcomings to Dave, he advised me to NOT try his mouthpieces!!! My admission of probably greater-than-average mouthpiece pressure led him to this advice. I was disappointed, to say the least. Still, I was curious. And the plastic versions of his mouthpieces made it somewhat more affordable. I went ahead and ordered a plastic SJ Solo tuba mouthpiece to try on my F tuba. After five minutes with this mouthpiece, I knew that I had made the right guess… Because of the way the Wedge is made, I had to move my corners toward the mouthpiece – essentially relieving some of the aforementioned mouthpiece pressure. So, endurance was no longer an issue. Articulation, especially at the softer dynamics, was also greatly improved. Overall, I’m much more relaxed. All of this brought me to the next logical step – to develop a mouthpiece closer to the measurements I’m used to, with that incredible Wedge rim (and whatever magic Dave came up with..). After sending me the first prototype, I knew we were close. When I received the 2nd version, I was just blown away – so much so that I found it hard to believe that this one mouthpiece was real! I played for some trusted colleagues and students and their overwhelmingly positive reactions confirmed what I already knew: The new SM Solo mouthpiece allows me to do my job more easily. It’s become a direct extension of the instrument! I’m absolutely thrilled with my Wedge mouthpiece and honored to be a Wedge Endorsing Artist. Thank you, Dave, for your genius, your patience and your friendship. I love the smoothness with which I can move between the partial, my sound is clearer, more vibrant, and more resonant than on any other mouthpiece I’ve performed on, my endurance has improved, and these are the most comfortable mouthpieces I’ve ever performed on. I have played and performed on most of the different brands of mouthpieces on the market and have found that the Wedge line of trombone mouthpieces suit me the best. I am looking forward to switching all of my mouthpieces over to Wedge over the next few months. “Such a concept of common sense and ingenuity are the designs of Wedge Mouthpieces! Since trying my first mouthpiece, I have experienced a vibrant, resonant, and singing tone quality with minimal effort and maximal efficiency. Additionally my flexibility, articulation, and technique have equally benefited from the use of Wedge Mouthpieces on all of my trumpets. Dr. Dave Harrison has revolutionized mouthpiece construction! Bravo!!! “From the first note I played on the new Wedge “Herriott L” lead mouthpiece, I haven’t looked back on anything I’ve used in the past. I find that I get more core to my sound, greater consistency in tone throughout the conventional and extended range of the trumpet, and improved response. The new Herriott line (Lead, Classic, Pops, Picc, Flugel) combines to make up the right tool-box of equipment for the variety of work that I do. Here is my little e- mail regarding my feelings on the custom mouthpiece you have done for me : MB2LS. First I want to talk about comfort that the mouthpiece provides. I was apprehensive about the positioning of the lips with the oval shape, but to my great surprise fue and exellent! Very nice, full support of what “le masque” is called here, by French trumpeters. This means any active part in the production of buzz not only the lips, but all the upper and lower muscles into action to play. The comfort provided by dimensions chosen for this rim was for me, was like a revelation. Do not forget that I received this mouth on a Tuesday night, the day after a long day of work expected. Here in France, Wednesday and Saturday are our longest day for us, the teachers at the Conservatory of Music. I tested the MB2LS all afternoon and early evening. Two of my students were absent that day, for 1 hour I played my program Big band . (I’m trp lead) Without trying to analyze my feelings, just to see if the high registrer was as easy as the feeling of comfort was great. Result: “Ben ça l’fait !” Which could be translated as so amazing so eazy. My other students followed one after the other and before storing my trumpet a little arpeggio in C Major and Hop : Double C! Amazing. This custom bent backbore also provides additional comfort that is undeniable. Comfort to the player; with faster projection of air so incredibly helpful for the high register. As for adapting to from a traditional mouthpiece to the Wedge, for me it was almost immediate. While I did not have on the first day as much precision during difficult and delicate musical phrase, after three days it was done! Regarding single or double articulation: the response of the mouthpiece is immediate and mastering is perfect, the mouthpiece captures the idea that musician wishes. Flexibility is much easier than with a other mouthpieces. Resistance: With this size throat on this custom and the combination of rim and cup play in the high register is very easy. I am very comfortable without negative pressure or resistance. Therefore I can play longer in the upper register and with a feeling of complete control. Play long phrases in the very high register trumpet with effects and nuances of phrases is possible, but in addition it is very fun to do! And as I already said thanks to this custom bent version of the very high register is played more naturally, with less effort and extremely fast response. And now for sound. Very rich! A full sound with a beautiful overtones. A rare thing for a shallow cup yet again that custom makes the difference with other mouthpieces. Congratulations Dave! The Wedge mouthpieces! This is the best! Contact with your mouthpiece concept allows a much greater endurance. I play longer and easier, with much less force for an extraordinary result. I also asked the public perceptions and friends trumpeters. The verdict is very positive. The words that come up is: easy / / power / / playability / / beautiful sound. “Since I discovered Wedge mouthpieces last year, I have played them exclusively. I feel they give me flexibility of expression, a clear tone, added endurance, and comfort over conventional rims. I use Wedge mouthpieces for tenor, alto, and bass trombone, euphonium, and bass trumpet. This 7C Trombone Mouthpiece is FABULOUS. I guess that your down-sizing theory really works. I have been playing this Mouthpiece for over a week now and it is amazing in every aspect. The .250 Throat is working very well with my Rath R10, and I could not be happier. I think that the 7C with the .250 Throat sounds as good as the 6.75C, but with it being smaller it is making my job even easier. The Range is great, the Articulation is even better, and the Endurance Factor still just blows me away. I appreciate all that you have accomplished with these great Mouthpieces. I will be playing the Wedge exclusively from here on out. In my opinion there is not a better Trombone Mouthpiece on the market today. Best Regards. Thanks so much for your phone call today to make sure I received the order. Yes! I was able to pick up the mouthpieces (they appear to have the right size cup and throat markings, so we should be all squared away) at the end of last week and have been using them for about 5 days now. I was planning to email you soon, anyway, just to let you know that the pieces are playing wonderfully so far! I know I’ll need a little more time to adjust to the nuances…but the feel, sound, and pitch are spot on. Something that I’ve never experienced in my life, either, are all of the benefits of the wedge shape that you’ve described on your website. It’s not just hype! My lips really do feel something quite different..more freedom to move, vibrate, circulate blood and stay fresh, etc… This morning, I wasn’t able to warm up at all before the job due to inclement weather and traffic accidents causing a delay. But my chops felt relatively fresh and still warmed up from practicing last night. I was surprised by how easily I was able to jump into my playing day. Well, I don’t want to take too much of your time. I just want you to know you’ve got another highly satisfied customer. Now that my classical set up is in place, I’ll be writing back at some point this year to order a lead mouthpiece. Until then, take care! About six weeks ago I called to discuss my horn mouthpiece needs with you. You suggested that I try an Eric Reed signature model. It is a revelation. I am an intermediate amateur player who needs all the help I can get, especially in the high range. The Eric Reed adds significant range on top, with no downside whatsoever. The sound is excellent, the low range is as good as my other mouthpieces, slurs and tonguing are fine as well. As you say on your website, there is no “honeymoon” period after which one’s playing reverts to the previous level. At first I was concerned about the high price of the mouthpiece compared to the other mouthpieces that I’ve purchased, but given the improvement in my playing, I consider it a bargain.